When teaching about social skills, one of the main concepts is friendship. Students who have weak social skills do not know how to make or keep friends. They often need to know how to approach people, what to say and how to respond to play situations. 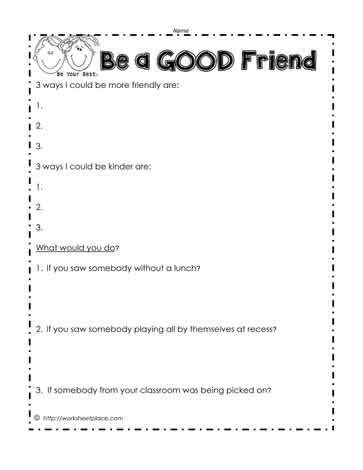 This worksheet focuses on how to be a better friend which is a crucial social skill.